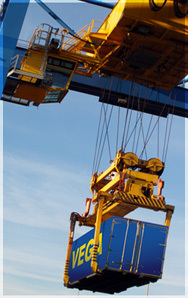 Viet Star Shipping Agency co.,ltd is one of the first tank container agents in Vietnam. We handle Non-Hazardous liquids as well as Hazardous Chemicals in Iso Tank Containers. We also handle Gas Tank containers in Vietnam. We are highly professional in our approach and also our experienced staffs have adequate technical knowledge on Iso Tank and Gas Tank Containers as well as IMDG regulations for handling hazardous cargoes.